As far as run coaches go, Rob Goodwin is easily one of the more unique. Rob is a 22-year veteran personal trainer, run coach, health coach, and a passionate advocate of ketogenic nutrition since 2008. He is a lifetime student of endurance, strength, nutrition, and has the rare and unique ability to realize goals in others. Rob seeks to constantly define the limits of physical expression for both himself and those who have placed their faith in him. A believer in others, redefining strength and endurance to those he coaches. 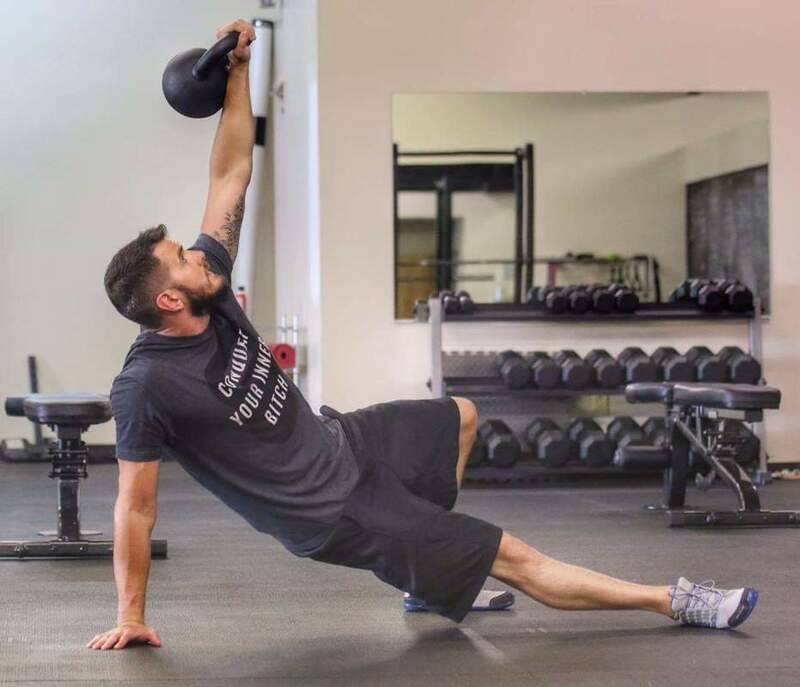 Rob admittedly has fitness ADD, believing no one is limited in the pursuit of any athletic goal, regardless of what obstacles lie ahead and from where they begin. Rob has competed in bodybuilding, spent many years as a long distance cyclist, and since 2009 his focus has shifted to running, strength and conditioning, and ancestral health. Rob started applying Chi Running principles in 2010, became a Chi Running instructor in 2014 and is now a proud to be part of the Elite Injury Freedom Running coaching team. Rob’s style of run coaching is more intuitive and organic, combining meticulous base building using Maximum Aerobic Function (MAF) principles, and strategic resistance training while continually stressing correct technique. Though a good training plan is important and recommended, Rob also plans his client’s daily and weekly training sessions based on physical, mental, and biological metrics that vary daily with each runner he coaches. In short, everything is adaptable as one-size does not fit all. Rob is also a member of the emerging “Ketosphere” of ketogenic nutrition advocates, coaching his clients to apply Cyclical Ketogenic diet principles to their lifestyle and performance based goals. Rob believes, as many others do, that the ketogenic runner can literally become “bonk proof” while sustaining far less oxidative stress on the athlete over time. Rob's run clients develop great technique, while forging a lean but strong runner's body. Rob prefers to coach on the far ends of the spectrum, specializing in coaching new runners, and those who prefer to run long past the marathon distance. He currently coaches an Ultra Runner, a nationally ranked Cyclocross Racer, a triathlete who reached Age-Group Nationals last year, a lifelong runner who achieved his first Boston qualification in 2015, and several other new runners who are finding a passion for what he believes is the “Purest Sport”. Rob coaches runners one on one or in small groups. Rob is currently training for the Triple Lakes 40-mile Ultra Trail Race in October. Contact Rob today to discuss the possibilities.